4-3 Does South Korea Owe its Prosperity to Japan? “Japan constructed railways and ports, and developed farmland in Korea, while the Ministry of Finance provided funds that at their peak came to as much as 20 million yen per year.” This comment was made in 1953 by the head Japanese representative during the third talks between Japan and South Korea, Kobota Kanichiro (then Special Assistant to the Minister for Foreign Affairs). Since the start of the Japan-South Korea normalization talks in 1951, the Japanese side has repeatedly asserted “Japanese colonial rule was economically beneficial to Korea (what is now South Korea).” Even after diplomatic relations between the two countries were normalized in 1965, and even up until today, such remarks have been made endlessly in Japanese society both publicly and privately. Here below, by showing the actual situation of the economic development of colonial Korea, we will attempt to refute the above-stated argument that “colonial rule was beneficial”. The Japanese government paid support to the Government-General of Korea (the government organization of colonial Korea) throughout the colonial period, under the pretext of a “subsidy”. The 20 million yen in Kubota’s above comment may be referring to this. (See p. 160 in Sotokufu jidai no zaisei [Finances During the Period of the Government-General of Korea] Ed. Mizuta Naomasa, Yuho Kyokai Series No.19, Publ. Yuho Kyokai, 1974) However, most of the subsidy was used to provide extra pay and various allowances for Japanese staff working at the Government-General of Korea or its attached organizations. Kubota’s comment is inaccurate in its false implication that the money was so-called “provided funds” for developing railways and other infrastructure. It was true that in addition to the “subsidy”, both government money and private sector funds that flowed in from Japan to Korea were used to develop infrastructure and industries such as those of agriculture and manufacturing. Yearly cash inflow increased in the 1920s, when industrial development began in earnest, and then rapidly so starting in the 1930s, with progressive industrialization and militarization. However this argument of Japan “providing funds” to Korea overlooks transfers of funds in the other direction, in the form of things like savings deposited in Japanese post office accounts and the purchase of securities. As time went by, yearly cash outflow also increased. The Japan-Korea Annexation Treaty in 1910 declared a “complete and permanent” annexation. At that time, Japanese government and private investors wanted the colonial rule of Korea to continue permanently. Through industrial development in Korea, money which had been invested in Korea as “provided funds” produced income such as profit, ground rent, interest and dividends for investors. Hence part of this income flowed back to the Japanese Empire. Furthermore, if we look at the compulsory savings policy as it developed on a yearly basis, we discover even the “provided funds” themselves to disappear. As stated in Kubota’s comment in the preface above, the Government-General of Korea developed infrastructure such as railways, harbor facilities and farmland. Although this is true, we must pay attention to the characteristics of the intentions and methods peculiar to colonization. During the Russo-Japanese War and prior to the annexation, Japanese military authorities hurriedly developed railways within Korea to secure supply lines for transporting war goods and military personnel. The Port of Busan was also developed in a series of construction projects. As for the railways, Japanese military authorities forced Koreans to let them buy their houses and land, and conscripted them into construction work. Japan forced Korean people to “encounter” railways, which were a symbol of the “modern,” “in an unhappy manner.” (p. 12 Shokuminchi tetsudo to minshu seikatsu [Railways and Life of People in a Colony],” Go Sung-bong, Hosei University Press, 1999) Subsequently this railway system was used in lines of communication for the invasion of the continent of China. For that reason, while a main line railway system ran through the Korean Peninsula from north to south, local transportation capability in Korea remained at a low level. For the Korean people, this so-called Chosen Testudo (“Korean Railway”) couldn’t be used as a means of daily transportation. In this manner, Japan forced Korea to take on a military and economic role through infrastructural and industrial development in the colony. What is more, the Government-General of Korea vigorously implemented these various large-scale projects without using democratic procedures. During the colonial period of the country, Koreans had no political rights and this made it possible to push projects through. Behind the seemingly smooth implementation of infrastructural and industrial development, many Koreans were recruited into construction work against their will and physically deprived of the bases of their own production and livelihood. Most Koreans tried to resist the developments being brought about by the iron-fisted Government-General of Korea. But the Government-General broke down their resistance. At the time of annexation, Korea was an agricultural society. Following annexation, industrial production increased rapidly and in 1940 it became almost equal to that of agricultural production. Financial and private sector investment had led to an increase in agricultural production, however the growth in industrial production far exceeded it. Despite such an increase in productivity and an ostensibly advanced industrial structure, there were no major changes in the structure of employment in Korea. The rate of employment of agricultural workers in Korea decreased from 81% in 1930 to 74% in 1940. As for most of the heavy and chemical industrial (and other) factories located in Korea, these used technology that was cutting edge for the era. Because of that, in contrast to enormous investments made in machinery and equipment for the facilities themselves, little labor power was needed. Therefore, despite rapid development in the industrial sector, there was little demand for labor. In addition, since Japanese white collar workers and Japanese engineers living in Korea were in charge of engineering and production management, Koreans had limited job opportunities. Consequently, the great majority of Koreans had to remain employed in the agricultural sector. The afore-mentioned Korean Rice Production Development Program caused a large volume of rice to be shipped to Japan while the price was greatly affected by supply-and-demand in the Japanese Empire. In terms of raw cotton and cocoon, the most important commercial crops after rice, the system was designed so that raw materials exclusively (raw cotton and cocoons for silk) were purchased in each region, which meant that the prices determined for commercial crops ended up leaving the peasant farmers at a disadvantage. Meanwhile, these peasants were forced to spend more money on things like purchasing materials necessary for agricultural production such as chemical fertilizers, or paying back money they had to borrow as part of the irrigation project. Native industries such as the cotton textile industry had once thrived in Korean farm villages. Now however, owing to things like inflow of industrial product from Japan and the construction of textile mills in Korea, these native industries faced decline, aside from some self-sufficient regions of peasant production. This tendency became stronger with improvement of the transportation network. In this way, due to infrastructural and industrial development, Korean peasants’ agricultural income remained at a low level and they were deprived of their source of income from side jobs as well. 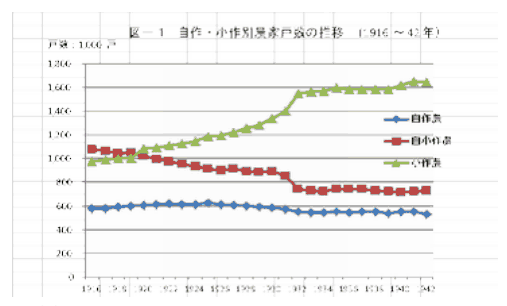 Figure 1 (Japanese only) shows changes in numbers of farm households in Korea. Landed farmers slightly increased through the first half of the 1920s and then decreased somewhat after that. Landed tenant farmers consistently decreased overall in the period shown, 1916-1942. In contrast, tenant farmers consistently increased. Due to the change in farm income (agricultural income + non-agricultural income) stated above, more and more farm households accumulated debt. In addition, since modern financial institutions hadn’t developed in Korean farm villages at that time, most of farm households borrowed money from moneylenders. As a result, they often ended up selling their farmland. In this way, many tenant farmers and landed tenant farmers (especially the latter) lost their land. In contrast to this, Japanese and Korean landowners accumulated farmland. Due to the low employment capacity of the nonagricultural sector, these impoverished peasants stayed in farm villages as tenant farmers after losing their land. Since more and more farm households wanted to lease tenant land, rent paid to landowners remained at a high level. Peasant impoverishment was also attributed to high rent rates. Impoverished peasants managed to make a living by producing more rice (being comparatively expensive on a commercial basis) while purchasing and consuming inexpensive miscellaneous grains such as millet imported from Manchuko (present day Manchuria). Nevertheless, many small-scale farmers found themselves unable to stay in farm villages during the 1930s agricultural recession, and sought job opportunities by going over to Japan or Manchuko and trying their hand entering the urban labor market at the very bottom. Some peasants pushed into the forests, engaging in slash-and-burn agriculture (known as Kadenmin), while there were others who made their way to Gyeongseong (present day Seoul) and were employed in various jobs. Crude housing was built on the outskirts of the city as settlements for these urban poor people (known as Domakumin), who worked as day laborers and other unskilled work. In the period Korea was colonized by Japan, transportation systems such as a railway network were constructed, a large-scale irrigation project was implemented and hydropower resources were also developed. And industrialization made rapid progress centering on the heavy and chemical industrial sector, such as the chemical fertilizer industry. However, these were at the request of Japan, based on military reasons, and were aimed at exploiting existing resources in Korea and securing inexpensive and stable supplies to Japan. During infrastructural and industrial development, an authoritarian approach was utilized and the desires of those who held a stake in the situation, the Koreans, were frequently ignored. In addition, many Koreans were deprived of the bases of their production and livelihood, being forced to relocate. Such infrastructure and industrial development brought big changes to the Korean economy. In farm villages, agricultural income remained at a low level and side job opportunities decreased. As a result, Korean peasants’ income remained at a low level and more and more farm households lost ownership of their farmland. Conversely, Japanese and Korean landowners accumulated farmland. During the colonial period of Korea, despite rapid industrial progress, the labor market of the nonagricultural sectors was developed only in a limited way. Peasants losing their farmland had to stay in farm villages as tenant farmers. This was another reason why rent remaine high and peasant income stayed low. 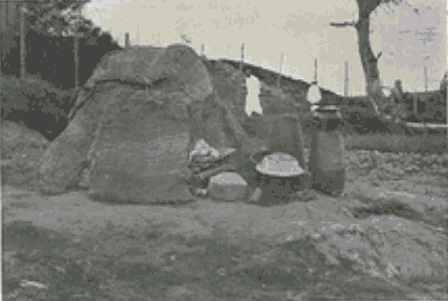 Korean peasants who found it difficult to stay in farm villages moved to Manchuko or Japan and tried out entering the urban labor market at the bottom, such as in construction work. And many people engaged in unskilled labor in cities such as Gyeongseong. Hence, capital inflow from Japan, as well as the infrastructural and industrial development that used this as capital, didn’t lead to any improvement in the standards of living for Korean people. And in fact, the low standards of living and low reproduction cost of labor power brought enormous ground rent and profit to investors and landowners investing in Korea. Part of this ground rent and profit was reinvested in Korea while part of it flowed back to Japan. The arguments that “Colonial rule was beneficial” and Japan was “providing funds”, which ignore the above points, can be viewed as nothing less than absurd. Heo Su-yeol (Translated by Hosaka Yuji), Development and People in Colonial Korea: Overcoming the Colony Modernization Theory and Exploitation Theory, Akashishoten, 2008. Kim Nak-nyeon, Nihon Teikoku Shugika no Chosen Keizai [The Korean Economy under Japanese Colonial Rule], University of Tokyo Press, 2002. Go Sung-bong, Shokuminchi tetsudo to minshu seikatsu [Railways and Life of People in a Colony], Hosei University Press, 1999. Matsumoto Takenori, Shokuminchiki chosen no suiri kumiai jigyo [Irrigation Association Project during the Colonial Period of Korea], Miraisha, 1991. Gang Jae-eon, Nicchitsu Konzern Group in Korea, Fuji shuppan Publishers, 1985. Im Byeong-yun, Commercial Agriculture Development in a Colony, University of Tokyo Press, 1971.